After spending the night in Tillsonburg, we went back to the Long Point area on Saturday morning. 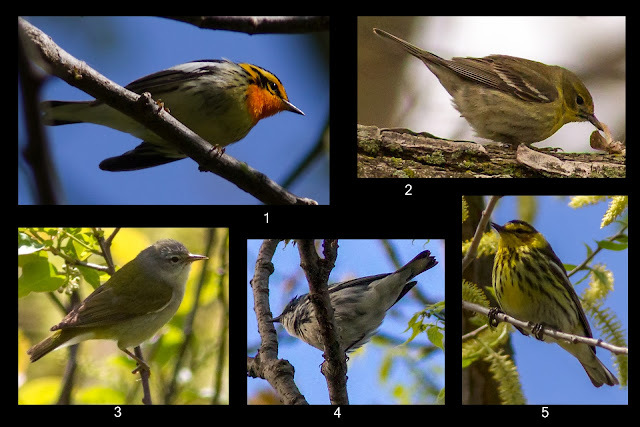 We spent the first hours of daylight in the St. Williams Forestry Station and Backus Woods but did not find any new team birds. 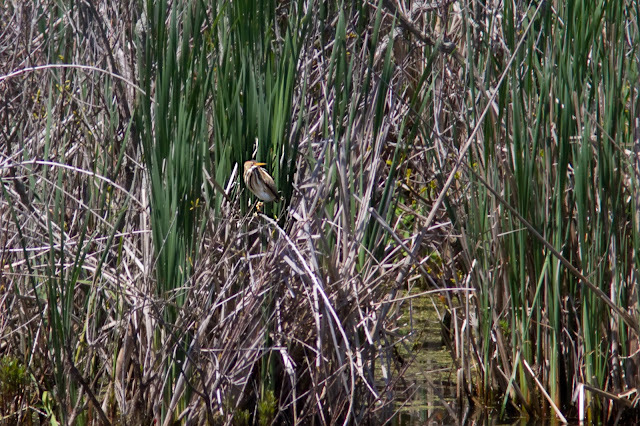 We then went to the Old Cut with a stop along the way to get a better look at the Eastern Meadowlark. 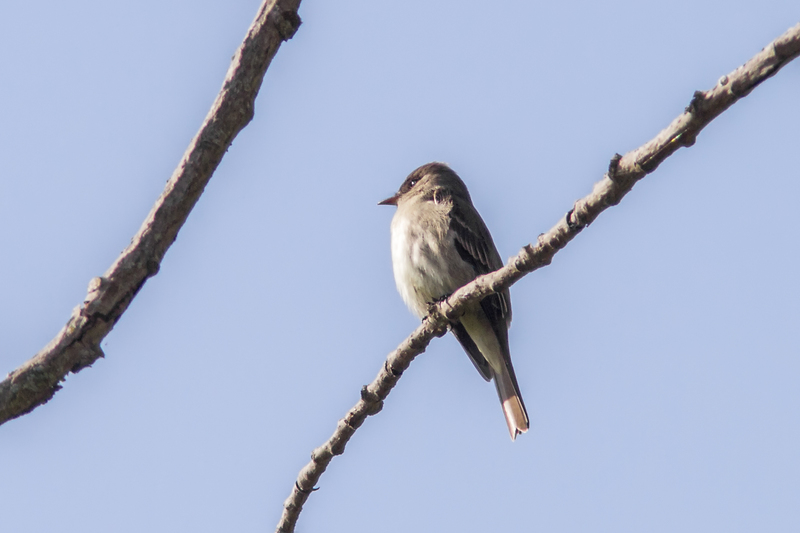 At the Old Cut, we saw a number of warblers (but nothing new) and finally heard and then saw an Eastern Wood-Pewee. As we were about to leave, someone called out “Hawk … Red-tailed Hawk … no, it’s a Red-shouldered Hawk, a first year bird … a good bird”. A good bird indeed and we were in high spirits as we headed towards Toronto. One last stop en route: Townsend Lagoons. There were a number of ducks and shorebirds at the lagoons but, at first glance, nothing new. However, as we were just about to leave, we noticed a peep that was quite a bit bigger than the Least Sandpipers, and it turned out to be a White-rumped Sandpiper for our final team bird of the trip. Point Pelee is well known for viewing migratory birds, especially warblers. Now for a little quiz ... identify the warblers shown in the photos below. Don't use size as a factor as the birds are not to scale. The answers are listed at the end of this post. Any time you spend 10 days in one hotel as we did in Leamington, you probably will observe some unusual things. Near the end of our stay, Mike commented that the hotel reminded him of Faulty Towers so we re-christened it “Dazed Inn”! The staff was very friendly and helpful but the hotel’s rules and procedures left us baffled at times. To start with, the design was faulty (at least by our standards) as the rooms had no outside windows (they did have a patio door that opened out into the indoor pool area). The rooms were so dark that one person had to hold the door open so that the other could see in order to turn the lights on. They did have a light switch at the door but it was an old style very low wattage CFL that took about 5 minutes to reach full brightness. When we checked in, we were each given 10 breakfast vouchers but we were never asked for them. The cold breakfast was good but a hot breakfast was only offered after we (and most of the other birders) were long gone. The hotel had a decent restaurant that we ate at a few times. They were out of our favourite beer the first night; they were still out of it 10 days later. They did have a good supply of Bok Choy as that was the only vegetable on offer for our entire stay. We were usually up by 5 each day so quite often came back for a rest around 3 or 4 pm - just when the cleaning staff were getting around to our room. So much for a quiet rest! One afternoon a manager (or so he claimed) walked into our room without knocking. 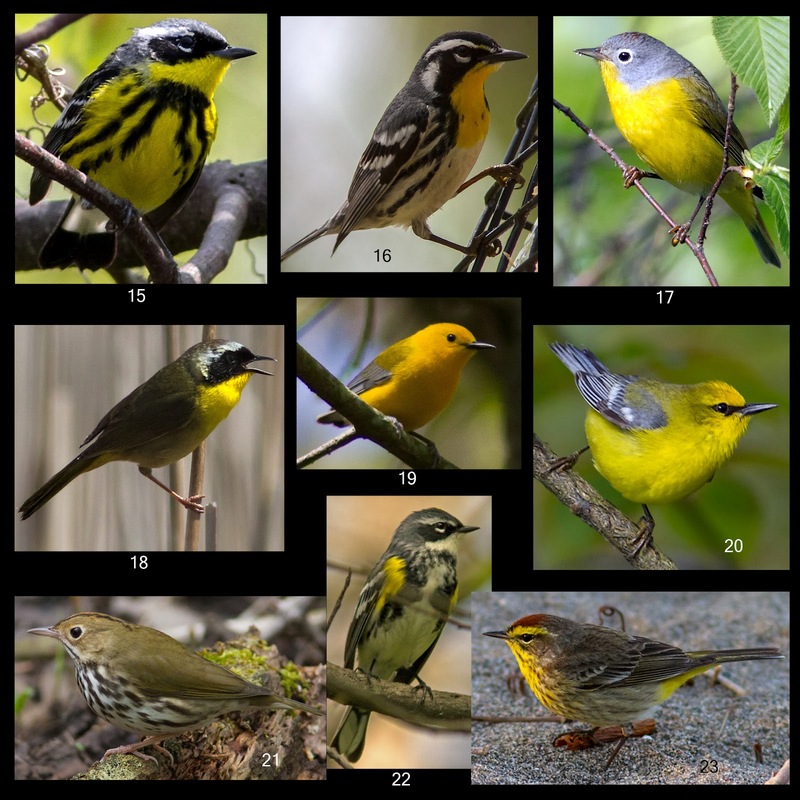 In all, we recorded 182 bird species of which 89 were new team birds. We saw 8 mammals with 5 new (live!) ones. We had a list of 50 target birds and managed to get 38 of them. This was in line with our expectations but of course, we were hoping for more. We are back in Alberta for a bit and then it’s off to BC. 2 wrong on the quiz.....reckon I need a refresher !! Excellent trip, and fantastic array of photos. 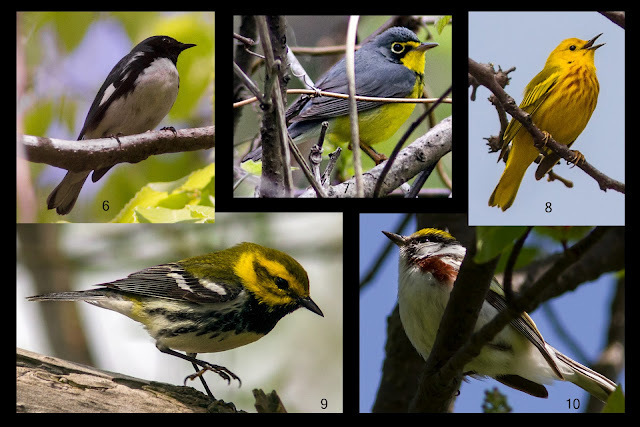 Perhaps on your next birding adventure to Pt.Pelee or the Hillman Marsh you would prefer to stay in a lovely, lakeside home. It's a 15 minute drive from the park, and sleeps 6 adults comfortably.